Lion Wayne joined the Calcutta Lions in 2009 with 100% attendance every year. He has been on the board of directors 6 years. Has served as tail twister, 1st and 2nd Vice Presidents and President, receiving the President Excellence Award. He is a Certified Guiding Lion. 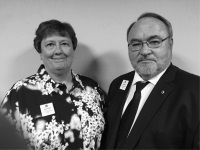 Lion Wayne has received a Zone Chairperson Award for 2014-2015, Council of Governors Award of Merit in 2015, Knights of the Blind, and is a Melvin Jones Fellow. In 2016, he was presented the International President’s Award. Eight new members have been sponsored by Lion Wayne. 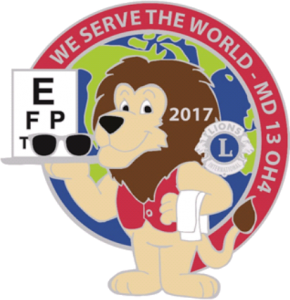 Lion Wayne is a graduate of the MD 13 Regional Lions Leadership Institute (2013, 2014, & 2015) and has attended 7 Spring Leadership Conferences (served as presenter 2014 and 2015,) 5 Winter Retreats, 7 District Conventions, 5 MD 13 Conventions, and 2 USA/Canada Forums. Lion Wayne has received his Bachelors and Master Degrees form Lions University at the USA/ Canada Forums. 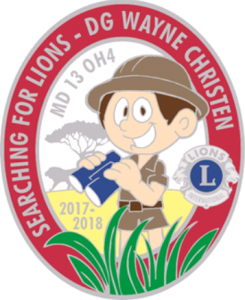 An avid pin trader, Lion Wayne is a member of the Lions International Trading Pin Club and the Ohio Lions Pin Traders Club, where he serves on the board of directors. Lion Wayne has been married to Lion Janet 46 years. They have 2 sons, 2 granddaughters, and a grandson.